Product prices and availability are accurate as of 2019-04-19 09:18:41 UTC and are subject to change. Any price and availability information displayed on http://www.amazon.com/ at the time of purchase will apply to the purchase of this product. 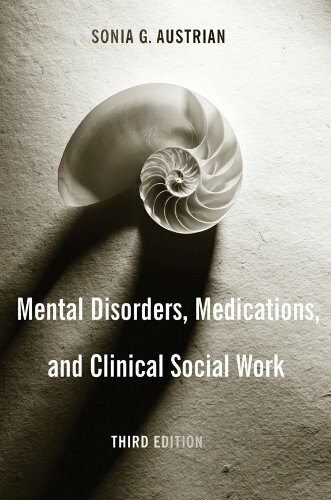 Written for social workers by a social worker, Mental Disorders, Medications, and Clinical Social Work discusses the etiology, epidemiology, assessment, and intervention planning for common mental disorders. Looking at disorders from an ecosystems perspective, Austrian goes beyond a linear classification approach and DSM-IV-TR categories and encourages social workers to analyze the internal and external environmental factors that contribute to a disorder's development. Austrian's discussion of effective intervention(s) for a particular client also stresses the importance of working with families in treating disorders. 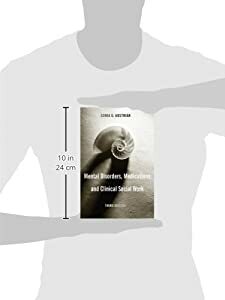 In addition to information on new medications, biochemical data on the causes of disease, and diagnostic tests, the revised third edition discusses therapies such as motivational interviewing, cognitive-behavioral, interpersonal, and dialectic.